Manchester City Football Club was crowned Champion for the English Premier League 2017-2018 Season due to their immense dedication, obsession and hard work. No matter what you want to do with your life, be passionate. 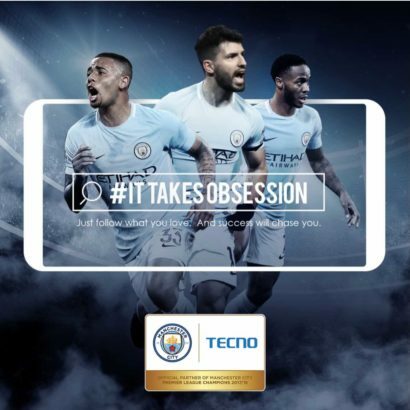 TECNO Mobile – the official Handset and Tablet sponsor of Manchester City Football Club is celebrating the title winning of Manchester City Football Club and will be rewarding her loyal fans in the ongoing #ItTakesObsession. Do you have an obsession story? Something you are passionate and obsessed about, then follow the steps below to share your own obsession story. STEP 1 – Share a video not more than 60 secs showing you doing what you are obsessed about and also telling your story at the same time. STEP 2 – Upload on either Facebook (as a comment on the pinned post), Twitter, Instagram or on our TECNO Spot Forum with hashtags #ItTakesObsession and #TECNOxManCity, don’t forget to mention @tecnomobileng. NOTE: You must be following our Social Media page(s) to make your entries valid. STEP 3 – Ask your friends to like/retweet your entry to increase your chances of winning. 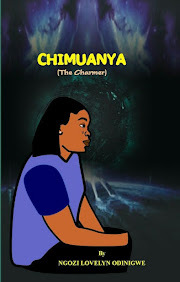 Activity starts today 7th May, 2018 and ends 31st May, 2018, but entry closes 21st, May. The top 5 entries decided by our panellists automatically qualify for the final stage. At the close of entries, the top 5 across our social media pages will be reposted on all our pages. 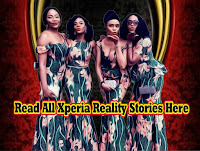 The obsession video with the most views will be announced as the winner on the 27th May and will be rewarded with the Tecno Camon X. To qualify for the top 5 – your obsession story has to show you doing what you are obsessed about and your story must be genuine. 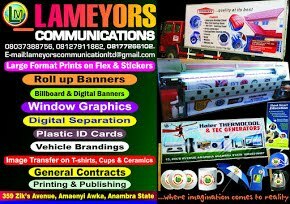 The other 4 entries will be compensated with branded gift items.